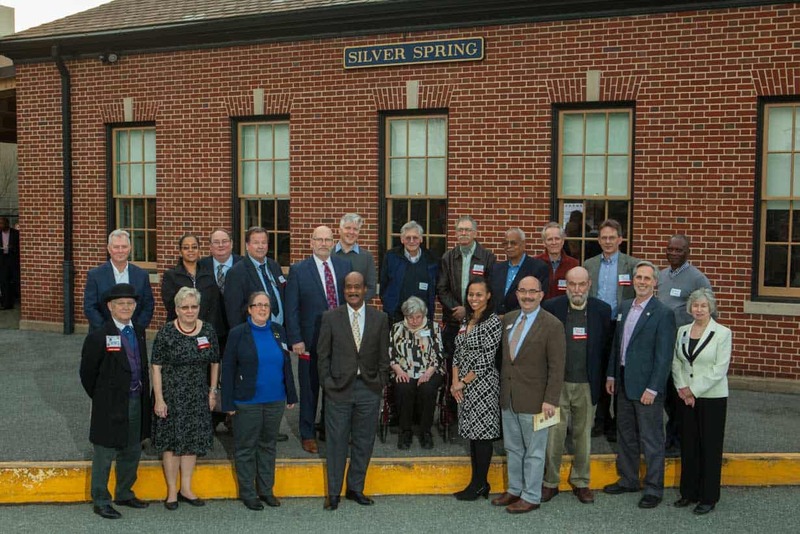 Eight Montgomery County individuals and groups celebrated their 2016 Awards for Historic Preservation recently at the Silver Spring B&O Railroad Station. 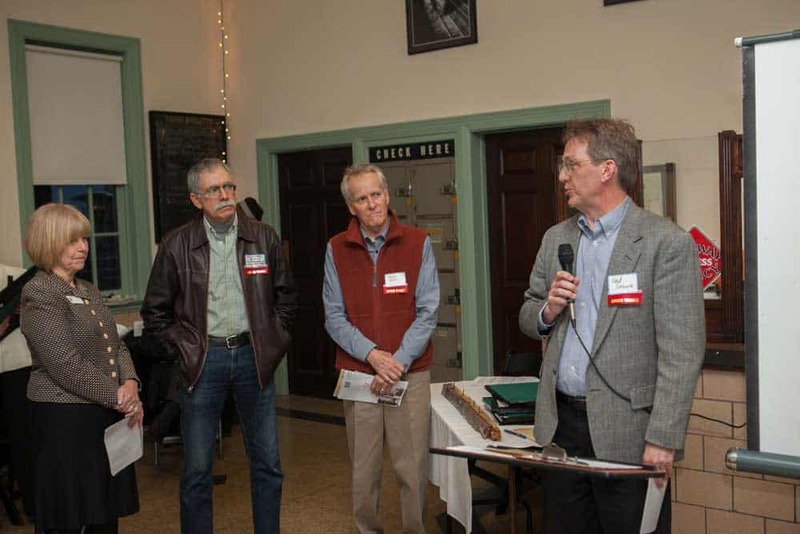 On March 24, an overflow audience applauded as each recipient described their restoration of a historic place or programs that helped citizens appreciate local history’s role in our community. 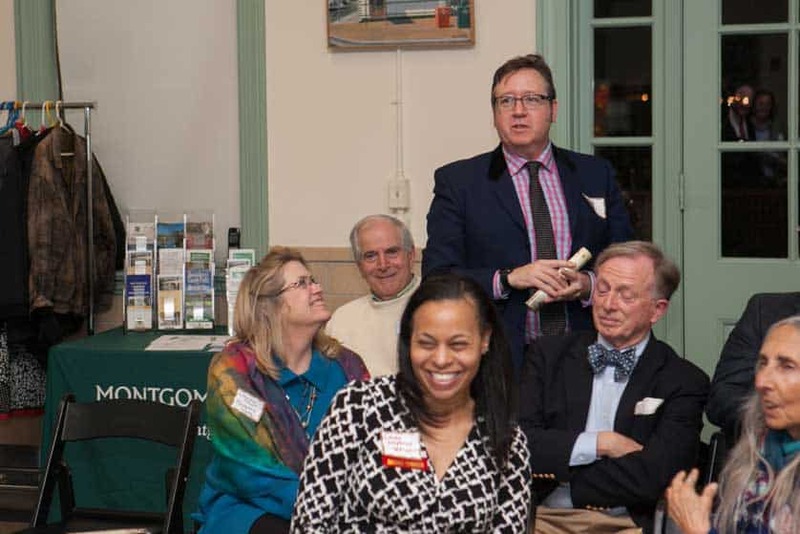 The annual awards program, sponsored by the non-profit Montgomery Preservation Inc., showcases the great work being done in the private, non-profit, and public sectors in Montgomery County. 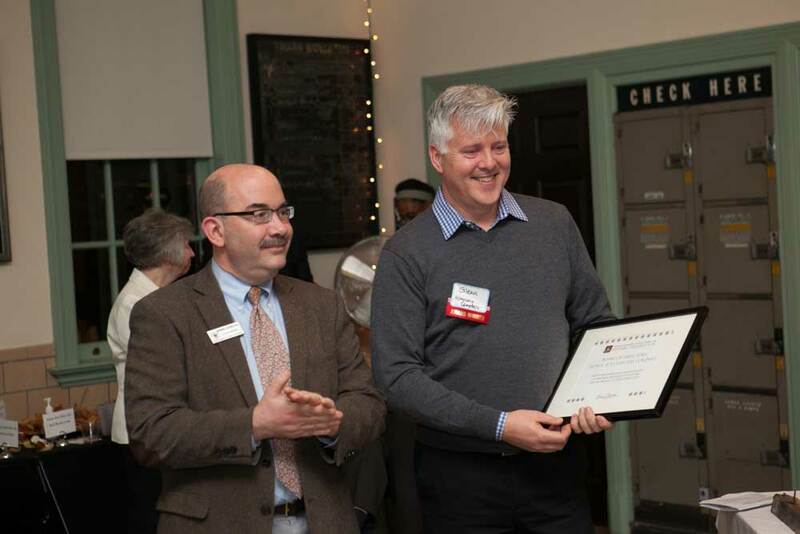 Each award was presented for outstanding achievement in the preservation, restoration, or interpretation of the cultural and architectural heritage of Montgomery County. 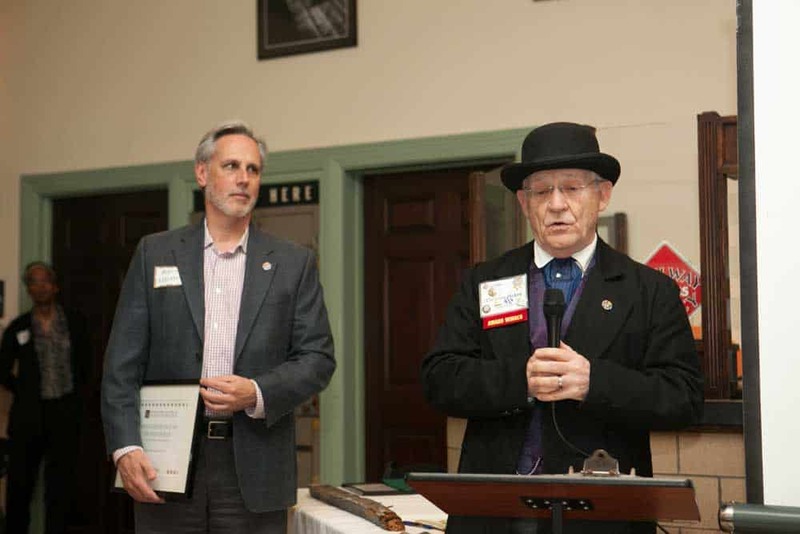 The County Executive, Councilmembers, and active preservationists honored extraordinary citizens from all corners of the County who were cheered by their peers for educational programs, restoration projects, creative stewardship, and partnerships that led to preservation success. MPI thanks all of the judges, presenters, March 24 volunteers, graphics designer Christina Renfrew, and photographer Dean Evangelista for making this 29th annual event so memorable. 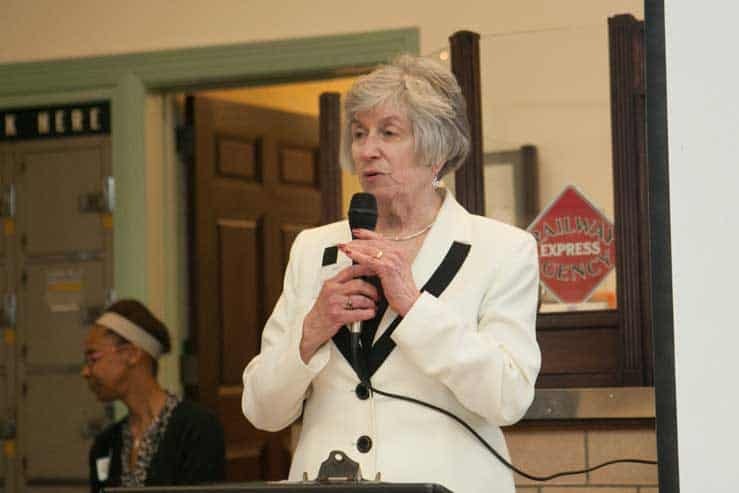 Accepting the County Executive’s Award was Sandy Spring activist Laura Anderson Wright. 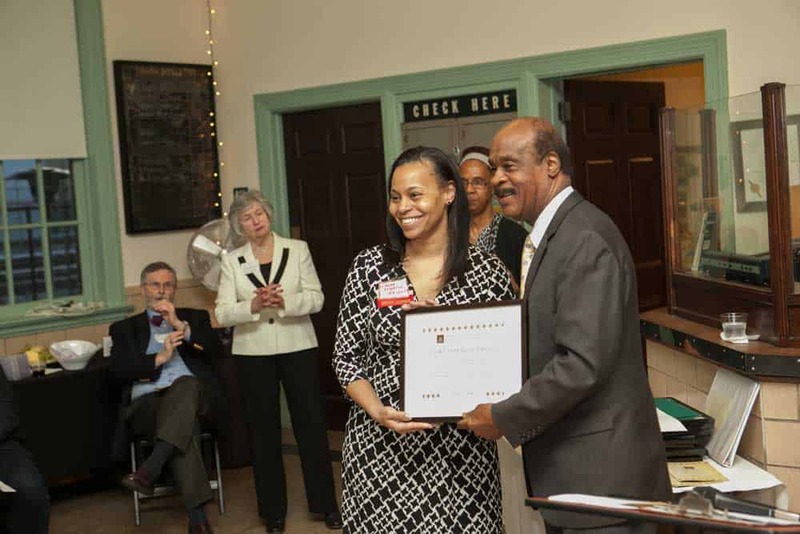 Her vision and leadership in preserving African American history resulted in expansion of the Sandy Spring Slave Museum and completion of the Odd Fellows Lodge rehabilitation project, and she is currently vice president of Heritage Montgomery. 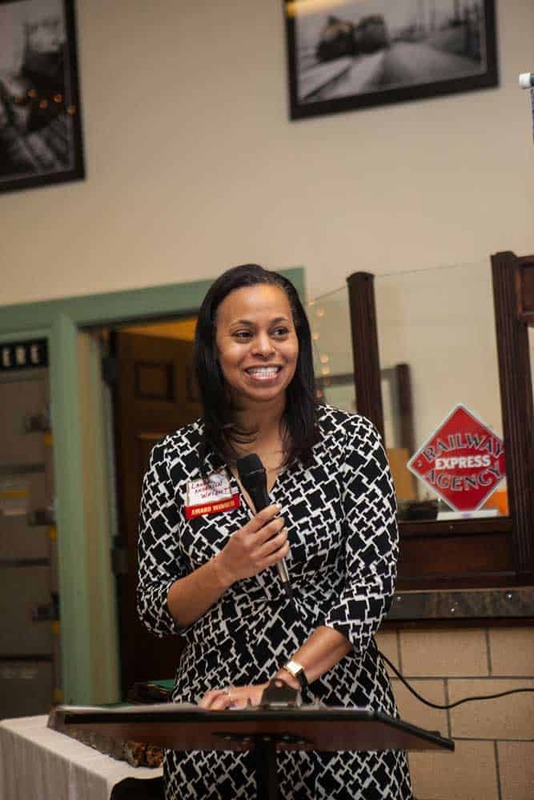 Ms. Wright has shared her passion with the public for 20 years. 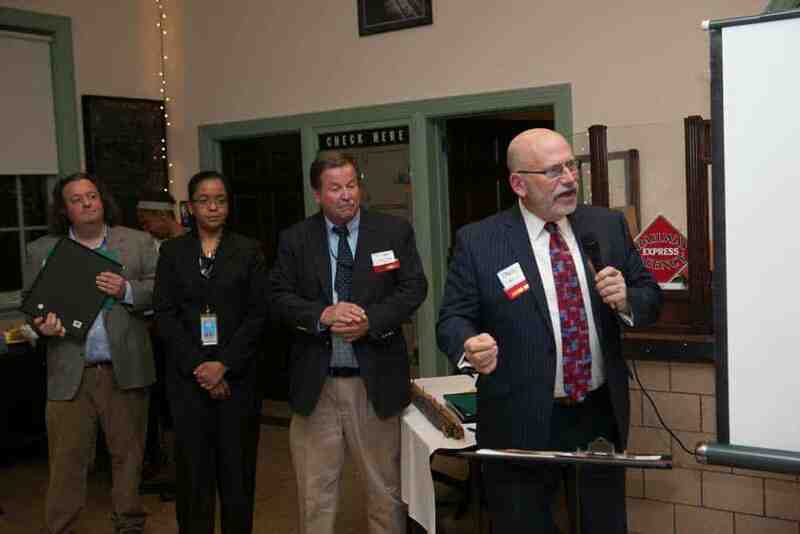 The Gaithersburg Community Museum was applauded for educational excellence and outreach. 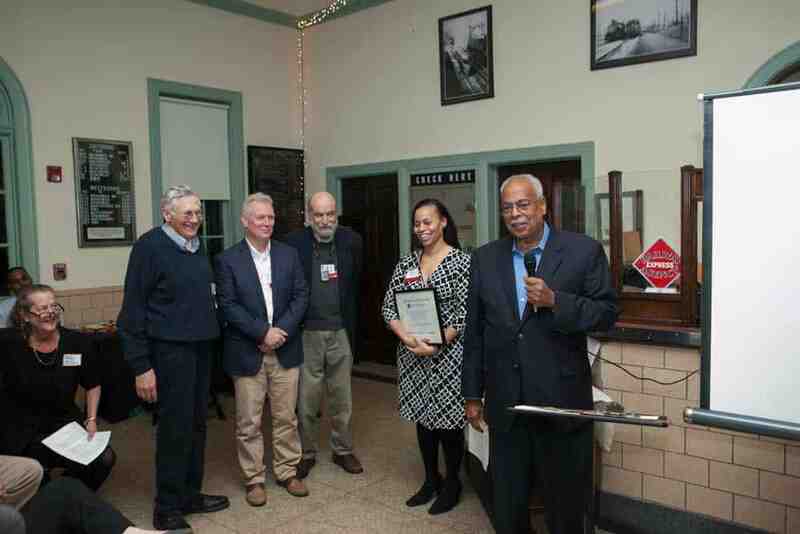 In the historic Gaithersburg railroad station and operated by the City of Gaithersburg, the museum is a dynamic community resource for visitors of all ages and economic and cultural backgrounds. Attendance in recent years has tripled, as families and visitors come for creative programs highlighting aspects of local history. 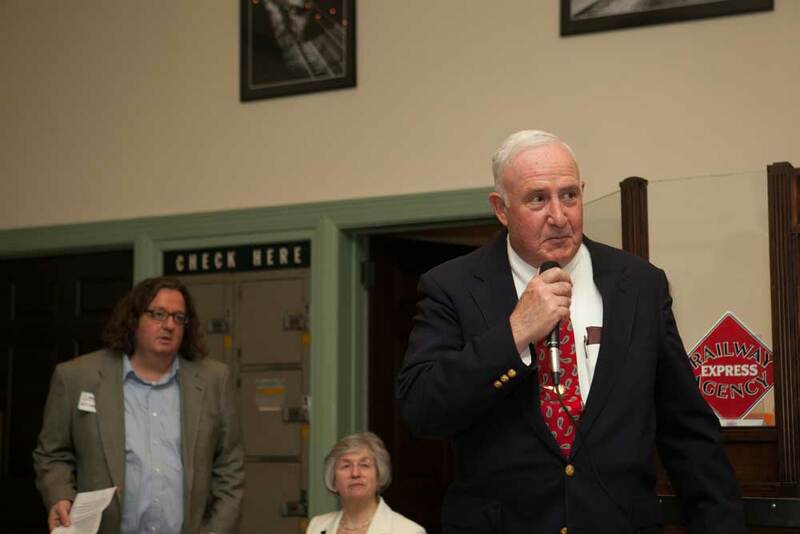 The museum includes the railroad station, a Budd car, and the Latitude Observatory. 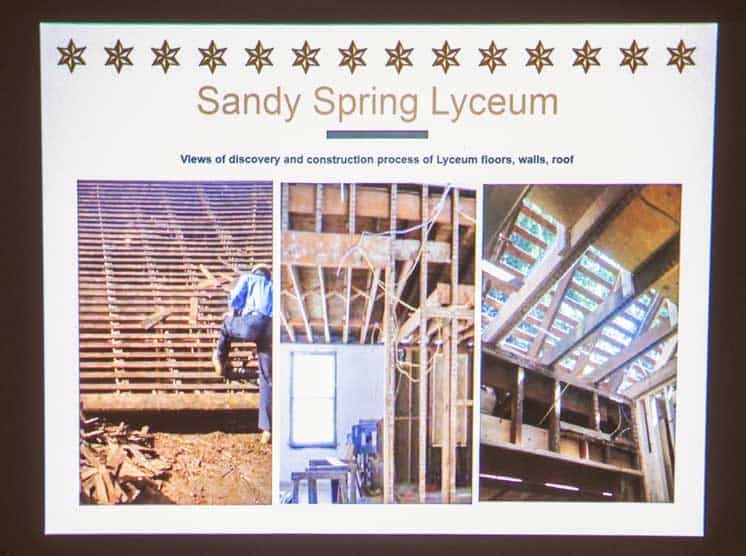 Sandy Spring Monthly Meeting of the Religious Society of Friends was honored for restoration of the historic Sandy Spring Lyceum. Built “in the interest of learning and the study of literature and practical science,” the Lyceum has been altered in its 160 years. Removal of non-historic features uncovered original siding and trim, windows, and doors, and porches were restored to return the Lyceum to its original exterior appearance. 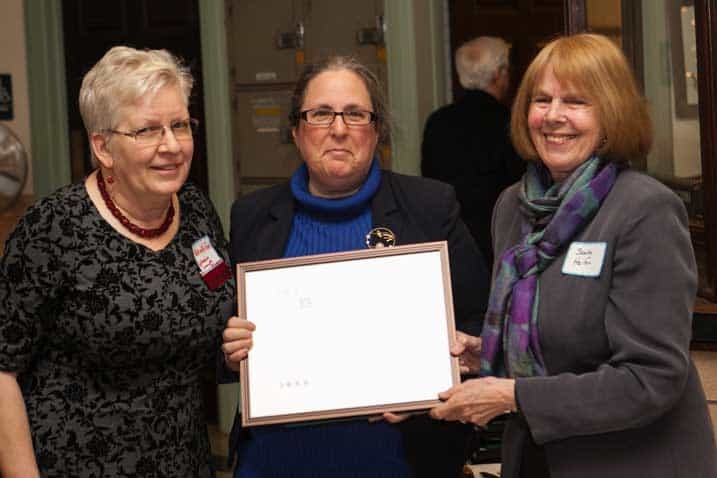 The 2016 Wayne Goldstein Preservation Advocacy Award was earned by Nancy B. Schwartz of Garrett Park. 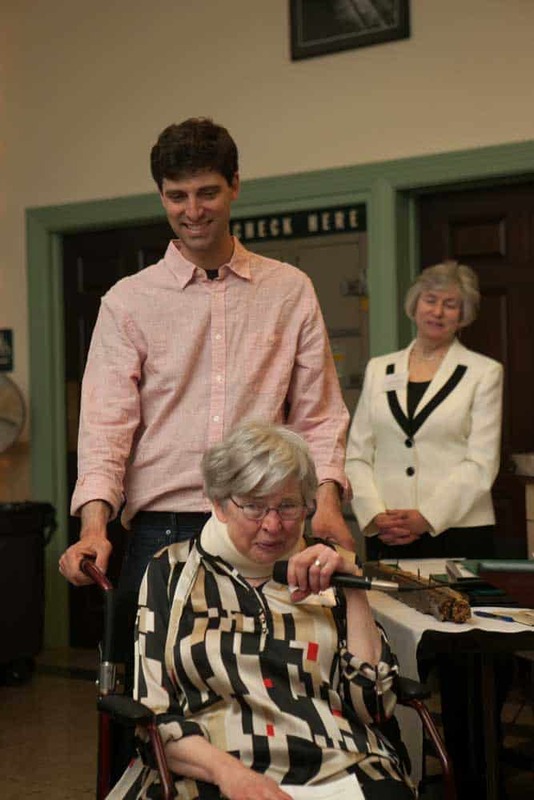 For 30 years, through the Town of Garrett Park Historic Preservation Committee, Ms. Schwartz has inspired and championed preservation efforts such as defining distinct town character, reviewing Historic Area Work Permits, leading tours and creating maps, recording oral histories, creating the Garrett Park archives, and developing publications. 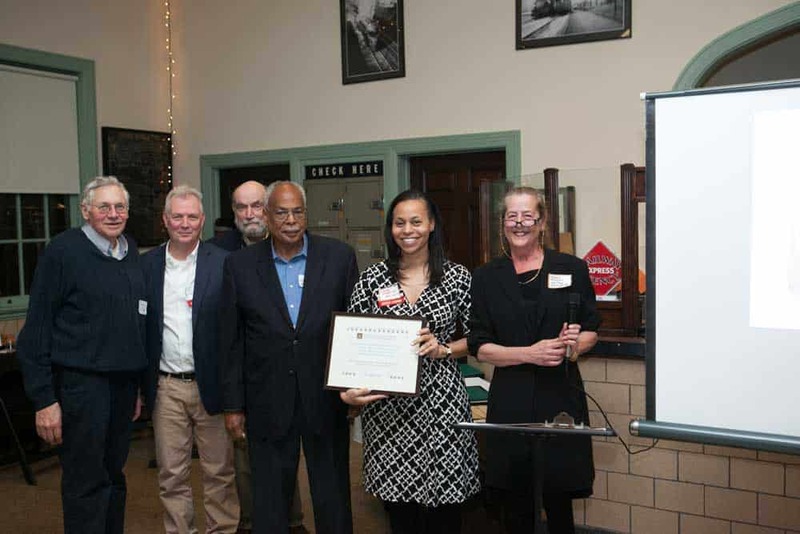 A Special Achievement Award was shared by Emory Grove United Methodist Church and the Montgomery County Department of General Services for stabilization and restoration of a little-known World War II artifact. German POWs hand-laid two stone abutments in 1945 to mark the entrance to POW camp # 8. Seventy years later, the handsome walls were restored for future generations to appreciate this piece of local history. 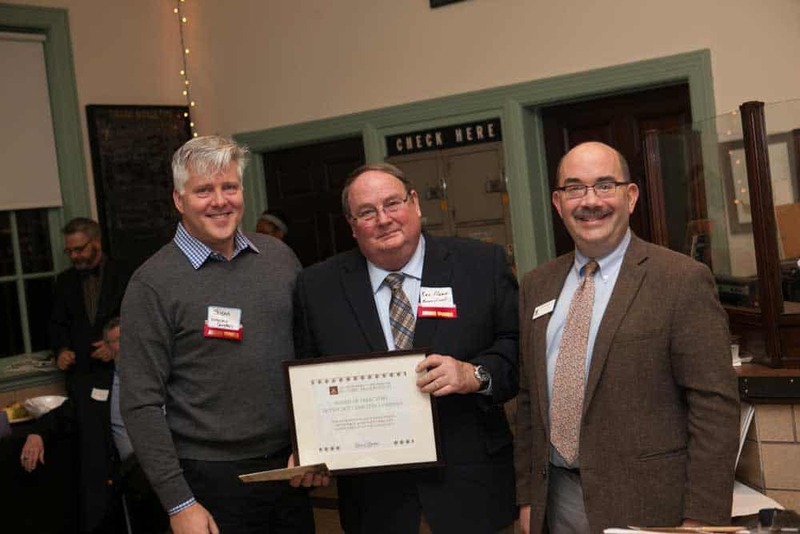 Historic Monocacy Cemetery in Beallsville was honored for excellence in stewardship and outreach to the community. 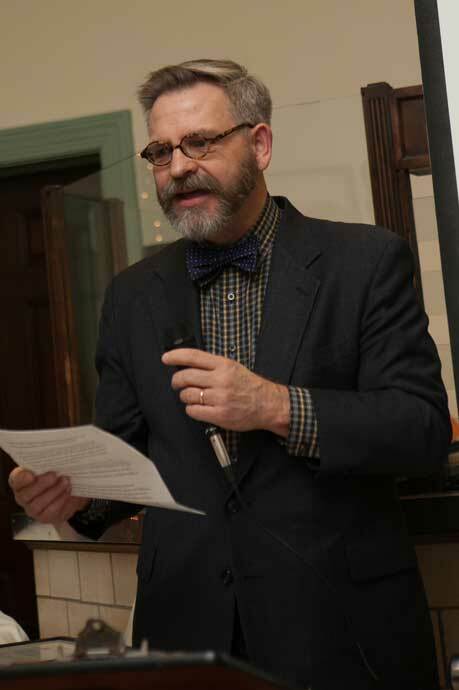 Under a creative Board of Directors, it has become a model and resource for burial ground stewardship, preservation, and public participation. Recent projects include mapping, photography, stone cleaning and repair, documentation, databases, veterans’ list and memorial, website, and a Facebook presence. 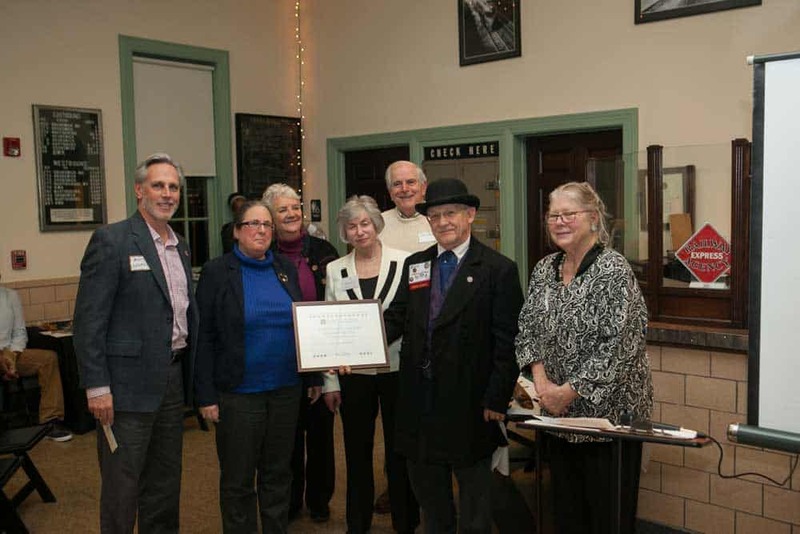 The Grand United Order of Odd Fellows, Sandy Spring Lodge #6430 received an award for rehabilitation of the 1922 lodge hall and continuum of original use. 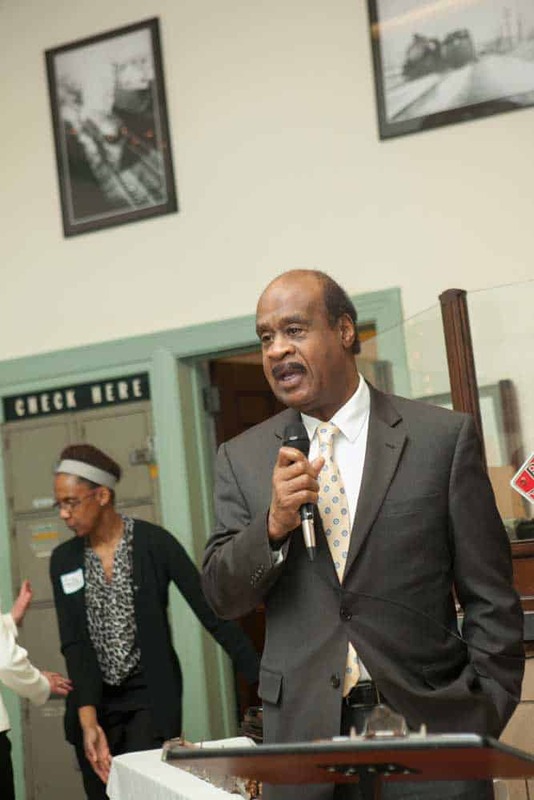 The group served as a health and insurance agency for the black community as well as a place for education, worship, and social activities. 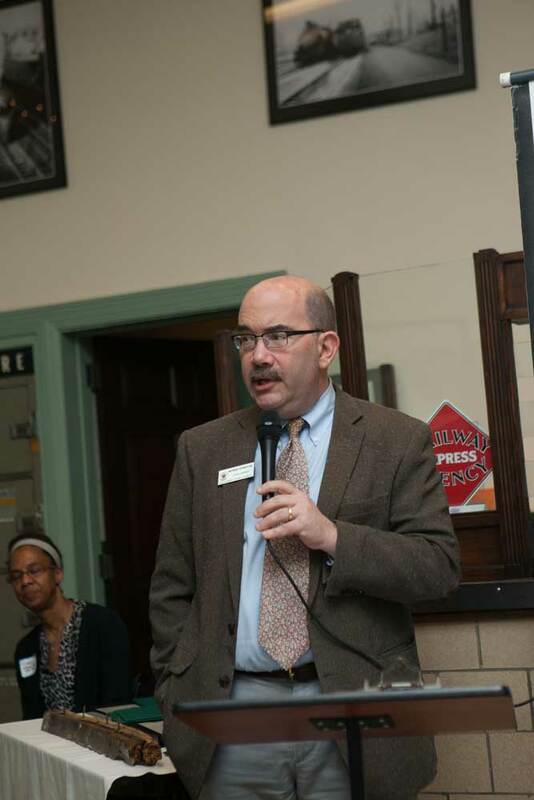 The three-phase project spanned a decade and involved numerous critical partners. 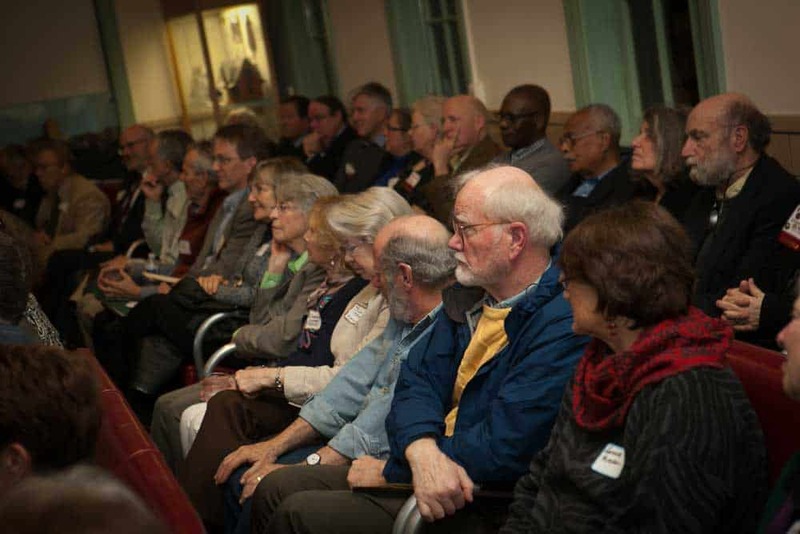 The prestigious Montgomery Prize went to Montgomery History’s Speakers Bureau for “taking history into the community.” Each week, expert historical society volunteers visit libraries, senior centers, schools, and other meeting places to present lectures, portray historical characters, and engage audiences in local history topics. 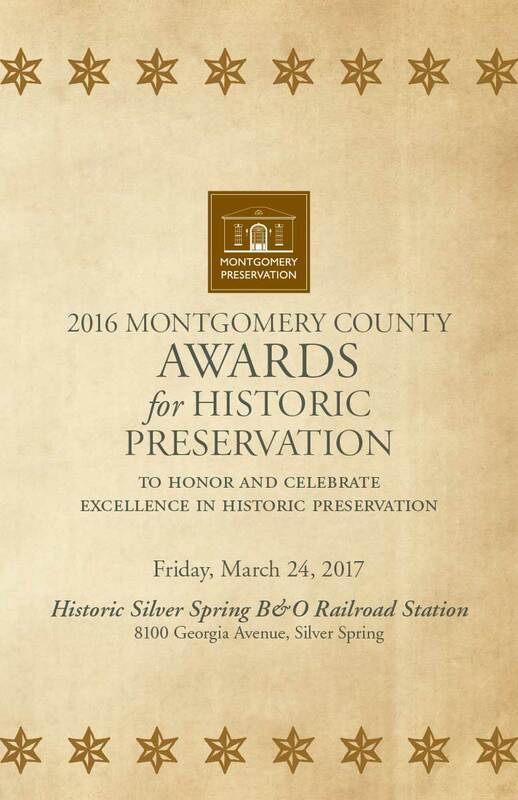 The Montgomery Prize honors continuous outstanding achievement in furthering history and preservation in Montgomery County. MPI accepts nominations for 2017 Awards throughout the year. Click here for the 2017 Nomination Form.